Going on Summer Vacation soon? Doing a semester abroad? Don’t let what to do with your gear be a stressful decision, store it all! It will be safe and ready for you to retrieve when you’re back? Is your home in another city, or even in the area but a distance away? Don’t let porting your stuff back and forth become a nuisance, once again here’s where storage comes in. Did you find when you arrived that your dorm room just can’t hold all the things you brought with you? Store the overflow! We’re 5A Rent-A-Space and we’ve been in the storage business for over 45 years. We can help you get into the right sized unit, save you money….and; we’ve got boxes, locks and packing materials to help protect your things while they’re stored. So renting a storage unit at our facility, near your campus is an easy solution to these problems. Here are 4 things to keep in mind when looking for a storage unit. 1. Facilities near college campuses can fill up quickly. It’s best to reserve a unit in advance to make sure the best sized unit for your belongings is available. 2. When deciding which size unit to rent, think about what items you’ll be storing. If it’s just clothes and books, you could rent a small 4x4x4 cube. If you will be storing larger items like furniture, shelving or storage containers, you might need a closet sized unit like a 4x5 or 5x5 or even larger. Make sure to speak with a storage consultant at your local storage facility to find out what size would work best for your items. 3. Make sure that your storage facility is in a safe area. It can be tempting to take advantage of a low budget facility in a not so safe area. This comes with its own risks when it comes to the safety of your belongings. Take a tour of the storage facility and ask about their security measures. Do they have secure gates that require a code for entry? Are there surveillance cameras throughout their facility? Do they have employees that live on site to monitor the security of the facility? The safety of your stored items is of utmost importance. 4. When organizing your belongings for storage, make sure to pack them in storage containers that are secure. You want to keep any dirt or dust from getting into your boxes or containers. You also want to make sure that the container you use to store your belongings is sturdy enough to hold them. If you put heavy books in a flimsy cardboard box, it may fall apart when transporting it to and from your dorm room. Give us a call at AAAAA Rent-A-Space; we’ve been serving college students in our local communities for over 45 years. 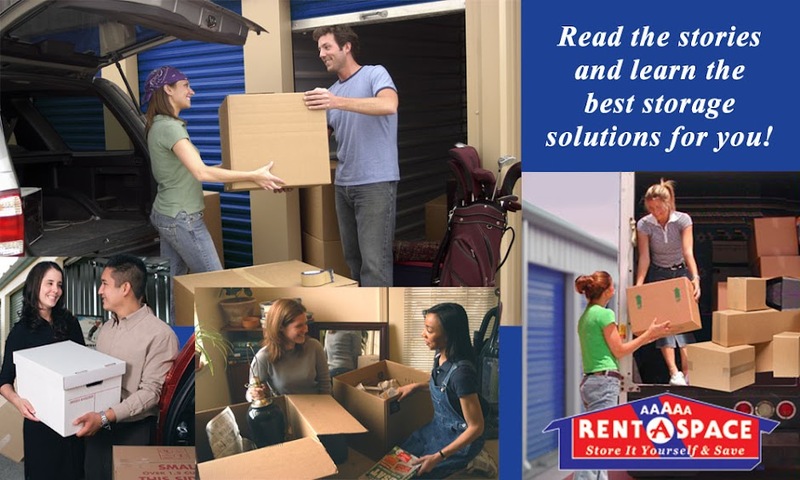 Stop by our facilities in Foster City, Moraga or Lahaina, Maui to rent a storage unit today!